ST. MORITZ, Switzerland — Lindsey Vonn finished a World Cup super-G race in extreme pain Saturday and was treated by race doctors for an apparent back injury. The American star crossed the finish line in obvious distress, almost one second behind the then-leader, and slumped to the snow. 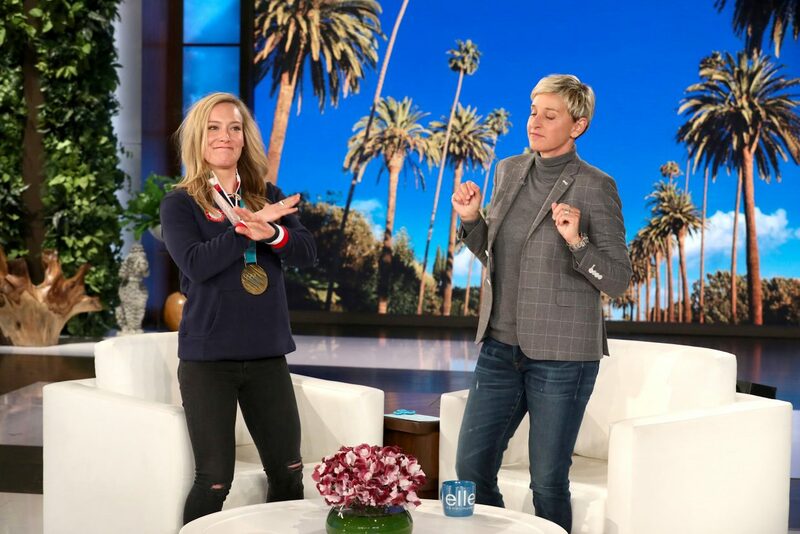 Vonn’s tentative run after jarring her back early on placed her 24th, trailing 1.56 seconds behind the surprise winner, Jasmine Flury of Switzerland. The race was shortened due to strong winds higher up the mountain. Vonn stayed in the finish house to be treated, and one hour later limped slowly into a waiting car to be driven from the St. Moritz course. In a race interrupted several times by gusts lifting flurries of snow, Vonn wore the No. 4 bib and was left standing at the start gate during the first delay of about three minutes. She stayed warm with a thick jacket draped on her shoulders. 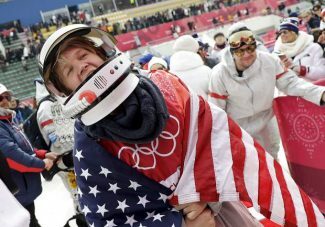 Vonn did not speak with media or fans before getting into the car, and wore the hood of a United States team jacket up to shield her face from television cameras tracking her. An update on her injury was expected later Saturday on her social media accounts. Before leaving, Vonn stopped to congratulate Flury standing in the leader’s box. The 24-year-old Swiss, who is ranked in the national Alpine team’s third-tier category, had a career-best finish of fifth in World Cup races before Saturday. Starting No. 14, Flury raced down in bright sunshine and little wind to be 0.10 seconds faster than teammate Michelle Gisin, who wore start bib No. 12. Tina Weirather of Liechtenstein was third, 0.16 behind Flury, and leads the discipline standings after two races. Weirather won the super-G last Sunday at Lake Louise, Canada, where Flury was seventh. Overall standings leader Mikaela Shiffrin placed 20th, 1.37 back. The American defending champion had her lead cut to 145 points by Viktoria Rebensburg of Germany, who placed sixth. 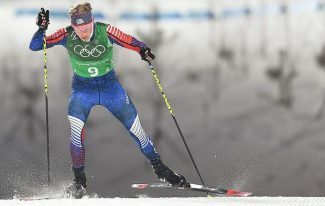 On the hill where she was injured at the world championships in February, Swiss star Lara Gut crashed into course-side netting after seeming to lose balance in the cross wind. She appeared unhurt. 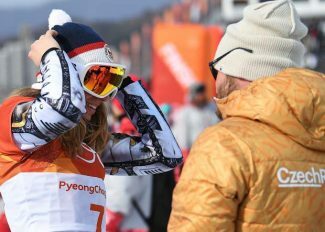 Gisin also acknowledged racing in the clearest and calmest conditions to get her first top-10 finish in a super-G race. 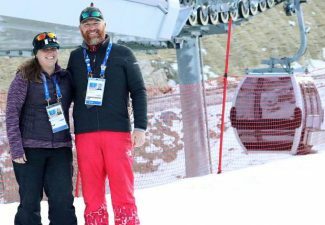 “It was very irregular and we got lucky, but you always have to ski it down,” said the younger sister of 2014 Olympic downhill gold medalist Dominique Gisin, who is now retired but was at the course. The three-race St. Moritz meeting concludes Sunday with another super-G.